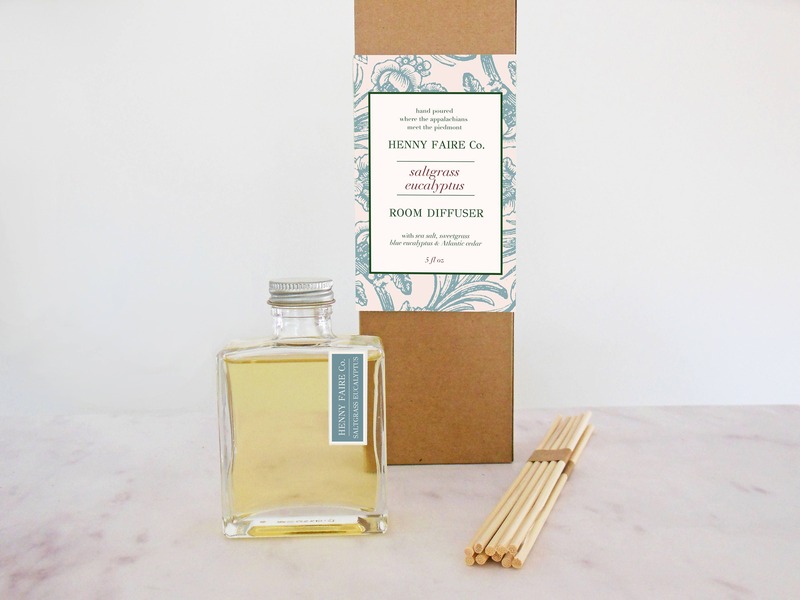 Blending brackish Chesapeake grasses with Blue Mallee Eucalyptus and warm Atlantic cedar, HENNY FAIRE Co.'s Saltgrass Eucalyptus reed diffuser brings the spa-like freshness of the sea shore home. This minimalist room diffuser will complement any home decor, its elegant ocean fragrance making it perfect for beach house decor. 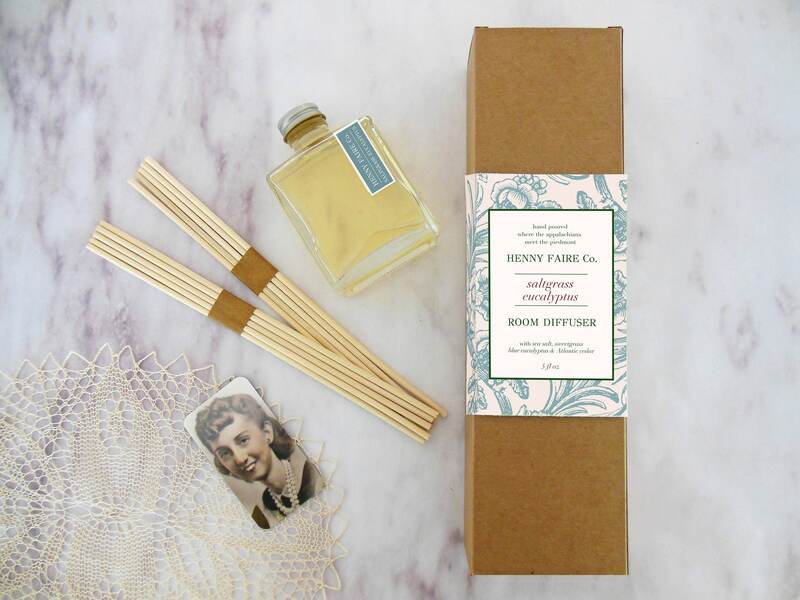 HENNY FAIRE Co. home fragrances are inspired by the native botanicals of the Appalachian mountains. Each room diffuser comes with 10 thick natural rattan reeds. Our artisan blended fragrances combine essential oils and pure aromatics. This 5 oz reed diffuser bottle measures 3 x 5 inches. The home fragrance lasts 2-4 months and is best suited for small to medium-sized rooms like foyers, hallways, bathrooms, bedrooms, and kitchens.